Hi, Everyone! 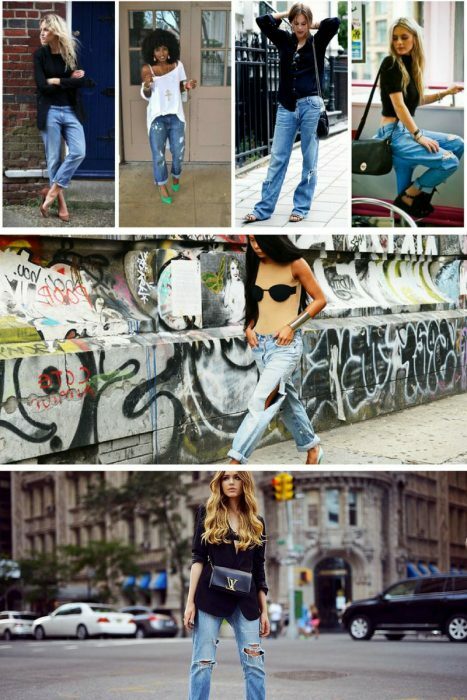 This time I want to share with you best outfit ideas that feature boyfriend jeans. This denim piece can be mixed and matched with pretty much everything. Lots of women still afraid to wear them, as they frightened to look bulky and oversized. Forget about extremely ripped jeans and find yourself a nice pair of knee-cut jeans. Today’s story is about women’s knee ripped jeans that can be dressed up and down. I am about to share with you the best street style looks that are easy to copy in real life.